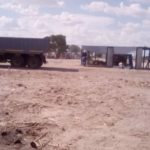 Pictured: People displaced after their shacks were demolished at Oshakati. 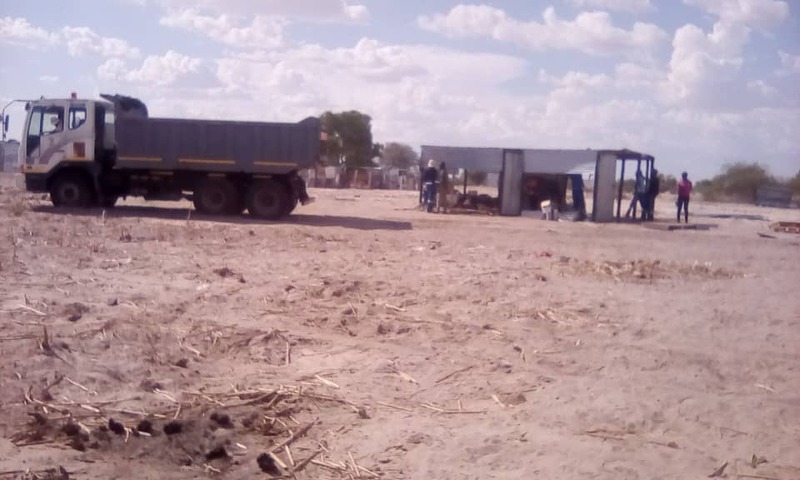 Several people were left find lodging with family and friends or to sleep out in the open after the Oshakati town council demolished at least five shacks in a new informal settlement that sprang up at the new Onawa development area of the northern town. The shacks were demolished to allow for new housing development scheduled for the Onawa area according to the spokesperson of the town council, Katarina Kamari. She said that council is currently busy installing municipal services 3 000 at new plots, but pointed out that the development is being done according to phases. Phase one is already in progress. “The owners of the shacks were notified a while ago to move because they settled there without following proper procedures,” she added. Kamari did not say how many more shacks in the informal settlement still has to be demolished to make way for the development of new formal housing. The people that occupied the shacks that were demolished said that they do not have anywhere else to go or to settle.